Anne Casselman (twitter)reports science and nature stories for National Geographic News, Scientific American, Canadian Geographic, Nature News, and other North American outlets. In her nine years as a science journalist, she has reported extensively from the field both on assignment and as the lead expedition writer for Alexandra Cousteau’s “Expedition Blue Planet” in 2010 and Cousteau’s River Mission (to the Ottawa River) in 2013. Her feature writing has been shortlisted for both a Western Magazine Award and a National Magazine Award. She was named one of the Marine Biological Laboratory’s Logan Science Journalism fellows in 2013, and was also a fellow in the Institutes for Journalism and Natural Resource’s learning expedition to the Kalamazoo River. She currently lives in Vancouver and is cofounder of Nonvella, a micropublishing outfit that focusses on short non-fiction novellas. 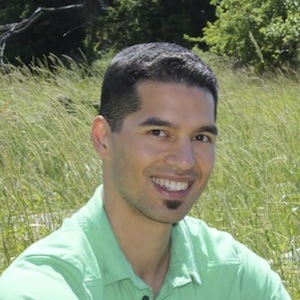 Kai Chan (twitter) is an associate professor and Canada Research Chair (tier 2) at the Institute for Resources, Environment and Sustainability at the University of British Columbia. Kai is an interdisciplinary, problem-oriented sustainability scientist, trained in ecology, policy, and ethics from Princeton and Stanford Universities. He strives to understand how social-ecological systems can be transformed to be both better and wilder. Kai leads CHAN’S lab (www.chanslab.ires.ubc.ca), Connecting Human and Natural Systems; he is a Leopold Leadership Program fellow, a director on the board of the BC chapter of the Canadian Parks and Wilderness Society (CPAWS), a member of the Global Young Academy, a senior fellow of the Environmental Leadership Program, and (in 2012) the Fulbright Canada Visiting Research Chair at the University of California, Santa Barbara. 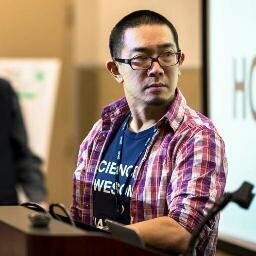 David Ng (twitter) is a geneticist, science educator, part time writer, and Faculty based at the Michael Smith Laboratories at the University of British Columbia. He currently oversees the Advanced Molecular Biology Laboratory, which is a fully equipped research space dedicated to the development, delivery and research of projects that provide experiences in the realms of science literacy, science communication, and science education. AMBL hosts a diverse portfolio of programs ranging from authentic research field trip programs, provision of publication outlets for creative science writing, game-based STEM related materials, as well as multiple projects that engage in the interdisciplinary intersections between science and other cultures (please see bioteach.ubc.ca for full details). Currently, his research interests include: (1) the exploration of children’s impressions over concepts of “science” and “creativity;” (2) the assessment of various game-based learning initiatives, especially those involving the lab’s Phylo project; and (3) the evaluation of introducing “hackathon” culture into STEM teacher professional development. Dave also writes here and there most notably in the literary science humour genre: you can see some of his clips here. A consummate interdisciplinarian, Ben Paylor’s (twitter) scientific education has taken him from a cannabinoid laboratory near the Arctic Circle in Sweden to agrigenomics facilities in Nigeria and all across North America. Currently in the final throes of a PhD in cardiac stem cell biology at the University of British Columbia, Ben previously completed degrees at University of Western Ontario, Umea University (Sweden) and Maastricht University (Netherlands). 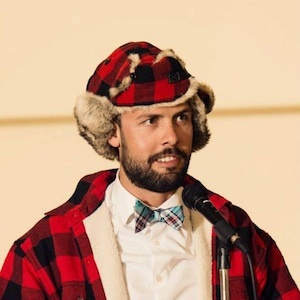 A passionate advocate for improved public understanding of science, Ben is also the co-founder and director of the scientific animation studio InfoShots, serves on the National Advisory Committee for the Canadian high-school outreach initiative StemCellTalks, is a 2011 graduate of the acclaimed Banff Centre’s Science Communication program, and a 2012/13 Action Canada fellow.